The Kawasaki KX motocross lineup is ingrained with a long list of successes that has stemmed from building champions since the start. The entire lineup returns for 2019 with models to build future champions. The Kawasaki Team Green racing team has been the dominant force in amateur racing for more than 35 years, providing contingency and trackside support to racers. 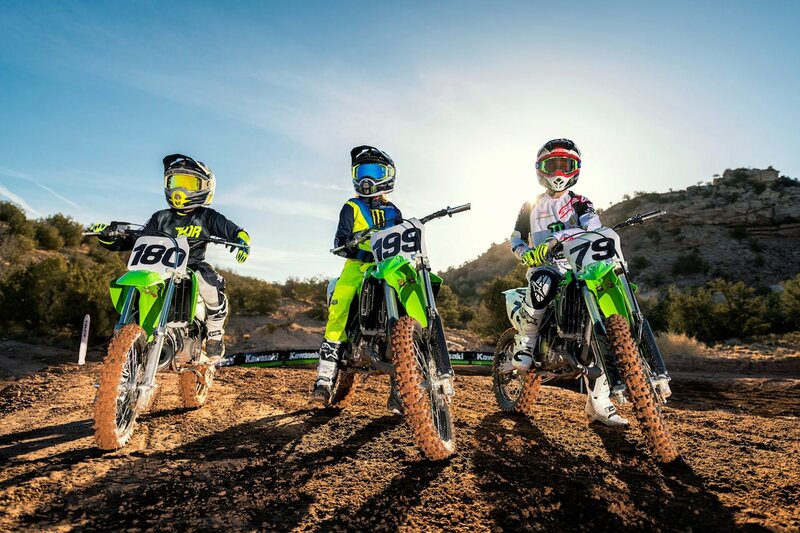 As a result, Kawasaki has relied on the aspiring young stars to provide input and to help develop winning products across its lineup. 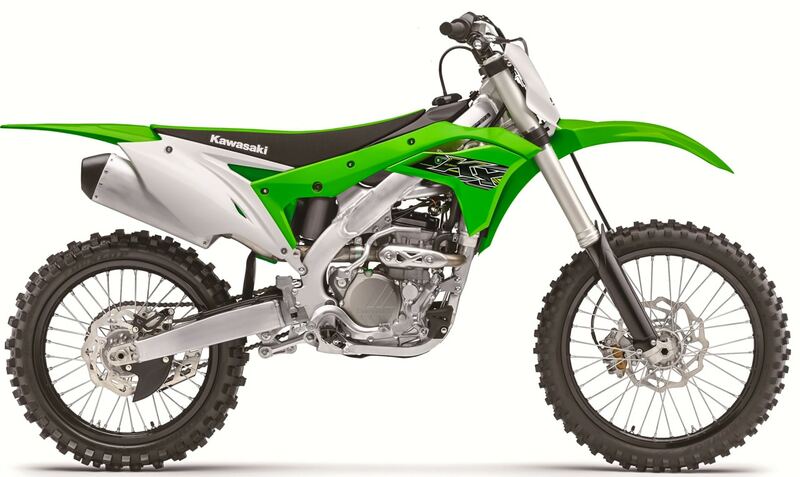 The dominating Kawasaki KX250F motorcycle returns for 2019. Tuned to best suit race-experienced riders, the 249cc liquid-cooled, four-stroke single’s wide power-band focuses on high-rpm performance that extends way into the over-rev. The slim chassis design contributes to light, nimble handling. The flat seat makes it easy for riders to shift their weight, offering a high level of riding freedom. 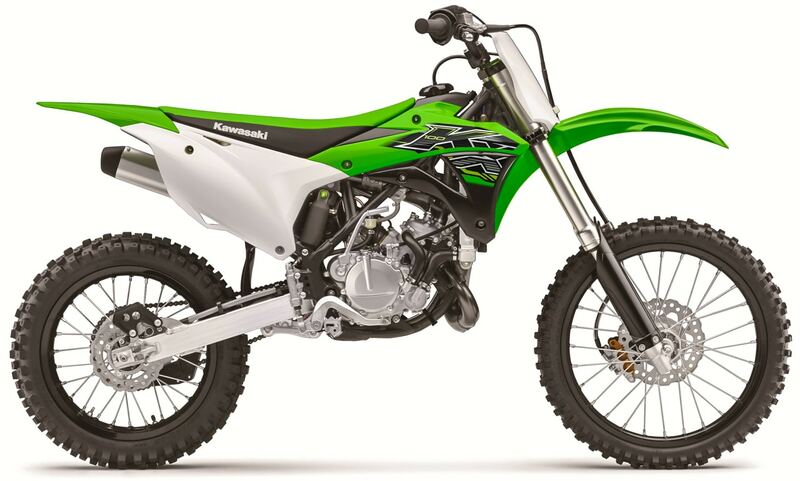 The KX250F is built with race-winning components to help Kawasaki riders get to the top step of the podium. From the showroom to the racetrack, the performance of Kawasaki’s KX family of motorcycles is proof of its engineering pedigree. It truly is the Bike that Builds Champions. position. 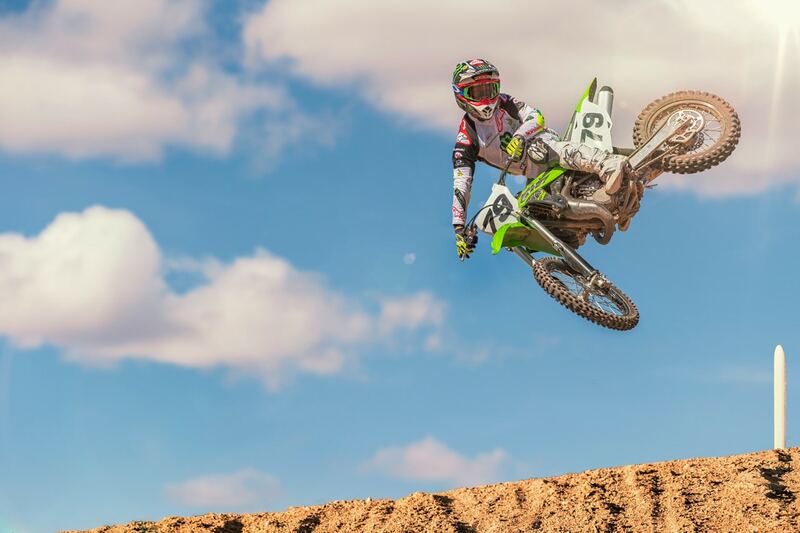 Backed by winning performance from Kawasaki Team Green, the KX100 has been a natural step for the riders who are looking to make the transition from the 85cc class to a full-size motocross bike. 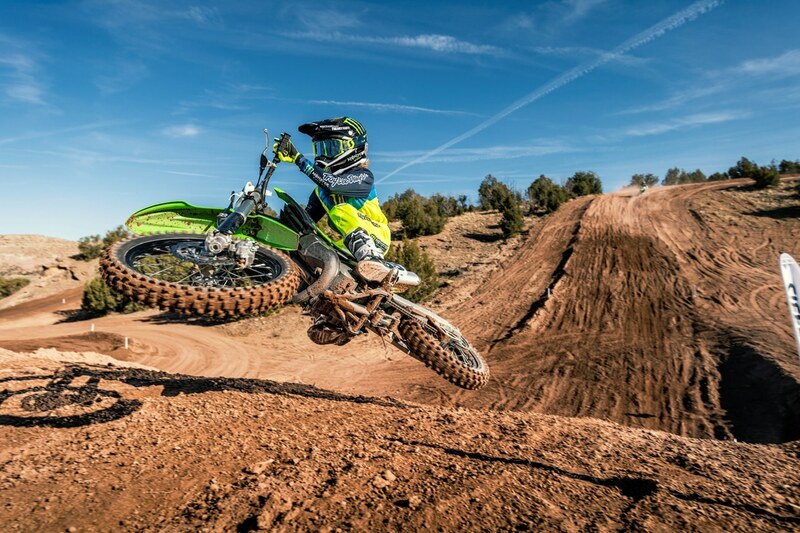 The KX85 motorcycle defines a “big bike in a small package” and has been strategically developed to meet the standards of youth racers searching for the upper hand over the competition. Embedded with the performance and winning technology of the KX lineup, the KX85 relies on its instantaneous power, nimble handling, and factory-race inspired styling to reach the checkered flag first. The two-stroke, single cylinder 85cc engine is equipped with the highly advanced KIPS powervalve system that generates an easy-to-use wide-spread powerband. 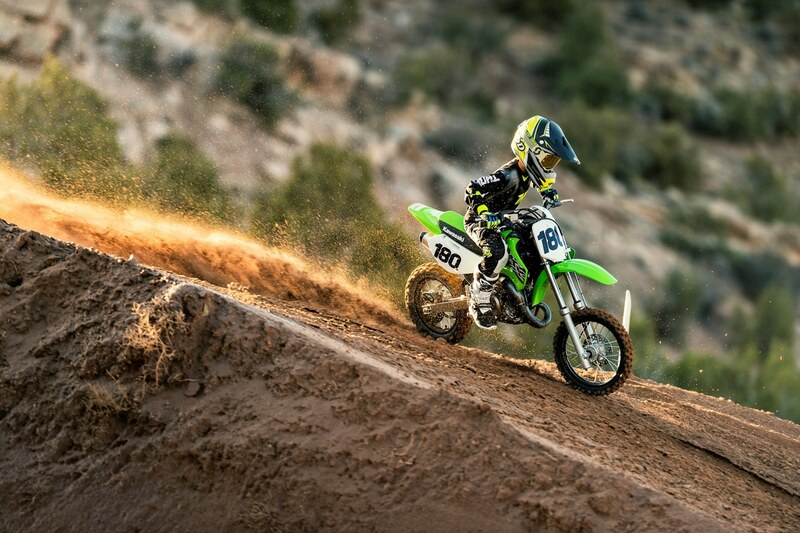 Championship performance requires power and reliability, which is exactly why the KX85 stands above the competition. 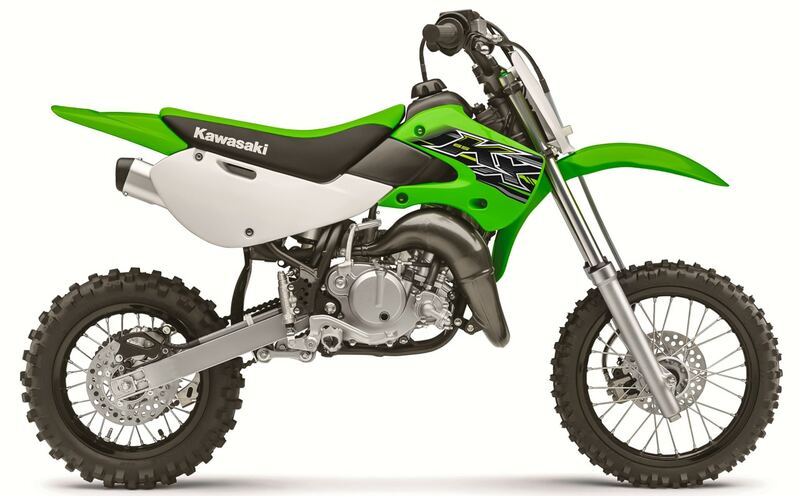 The KX65 is the most compact bike in the Kawasaki KX lineup, built to serve as the machine of choice for aspiring motocross racers driven to follow in Kawasaki’s championship footsteps. 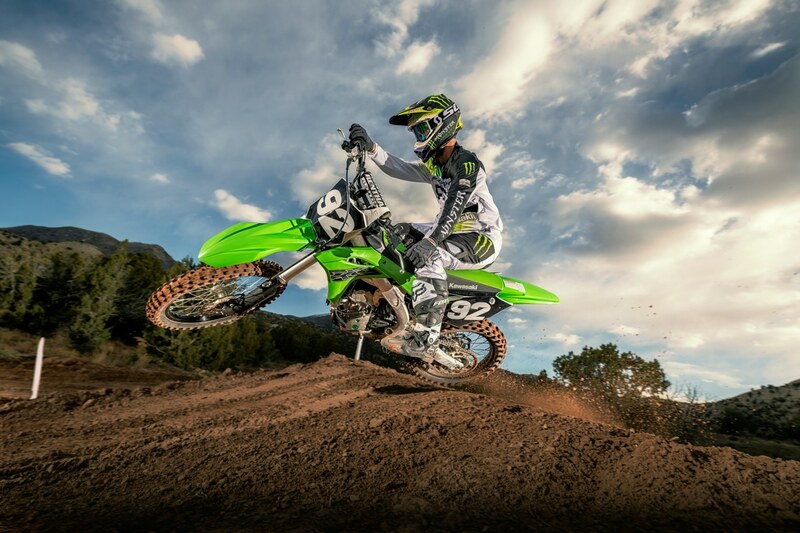 The durability and reliability the KX models are known for creating a dependable platform for starting off in racing. Featuring a six-speed transmission, race-ready engine, strong stopping power, and superb handling, the KX65 grooms champions. Its liquid-cooled, two-stroke 65cc engine and light weight chassis delivers strong controllable power and exceptional handling that is the ultimate recipe for winning races. 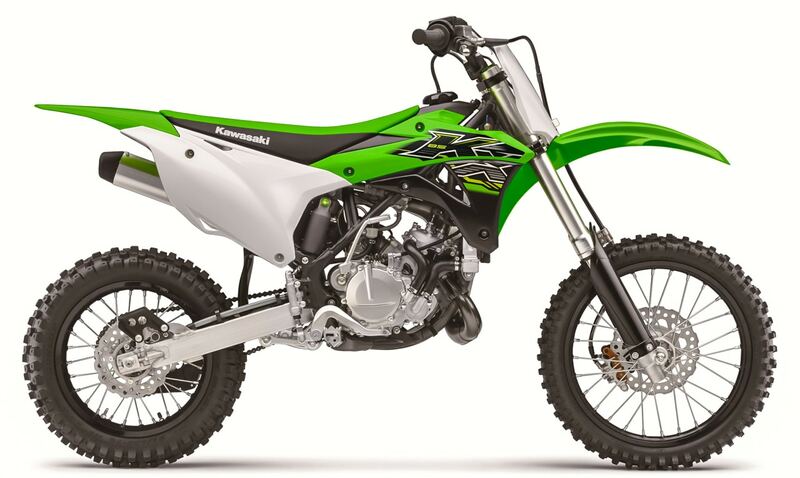 The 33mm front forks and four-way adjustable rebound damping are capable of performing at the highest level in aggressive terrain, while the rear is fitted with Kawasaki’s Uni-Trak single-shock system with adjustable rebound damping and fully adjustable spring preload.